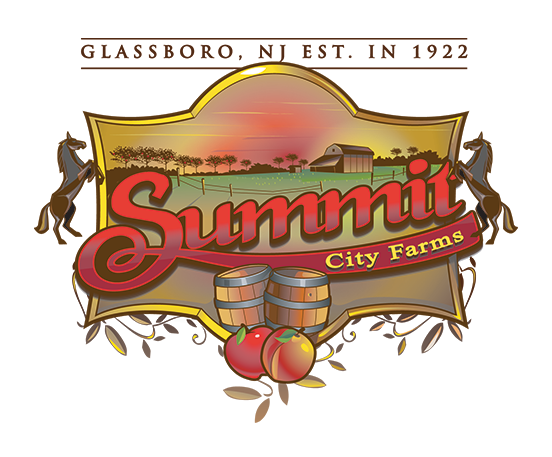 Summit City Farms is a family owned vertically integrated agribusiness that has been serving the New Jersey area since 1922. Our working farm comprises a series of peach, nectarine, and apple orchards. We are proud to supply wholesale fruits and offer over 30 varieties of locally produced wines in our state of the art tasting room located in Glassboro, New Jersey. The Summit City family has been a part of the community for nearly 100 years and four generations. With these strong roots, we have created the space and activities to help our visitors come together and enjoy a lively and friendly time. Our active equestrian facility houses our two ponies: Shamrock and Cappuccino. We invite you to host your child’s event with us. Lisa DeEugenio is the Pony Parties event manager at Summit City Farms. She has a background in early and elementary education and holds a masters degree in special ed. 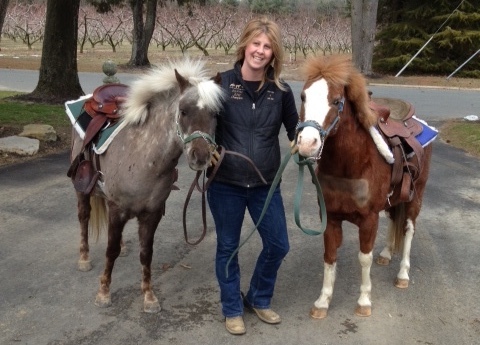 Her 13 years of experience working with young children, as well as her 30+ years of riding experience and barn management, make her uniquely qualified to help organize your Pony Party event. To start planning, contact Kim or Lisa DeEugenio at Summit City Farms through the contact form below. Select from one of our two party packages. Our Basic package gives you the free reigns so you can bring food, beverages, and decorations to our location and set up beforehand. If you select our Premium package, Summit City will take care of all decorations, food, and other planning to reduce the workload on your part. Additionally, a tractor/wagon attendant and an assistant will be available on the day of your event. Not Included: Cake, food, beverages, flatware, tablecloths, decorations. Option: If the event is booked during tasting room hours, wine can be available for the adults at our usual prices. Where did you hear we do Pony Parties?